All of my current dogs have passed their annual eye check. 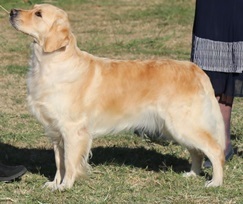 Keridale Isabella “Izzy” won her 8th CC to make her a NZ Champion. This makes the 4th Champion From Maddie !! Congratulations to CH Speyside Starry Knight (Tommy), another of Maddie’s kids on achieving the title Show Champion!! Although I didn’t breed him, (Pat Munro Breeder) he is the 3rd of Maddie’s kids to achieve this. 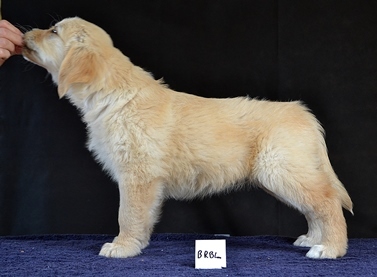 My Breeding dogs are DNA tested and results are on their own pages. 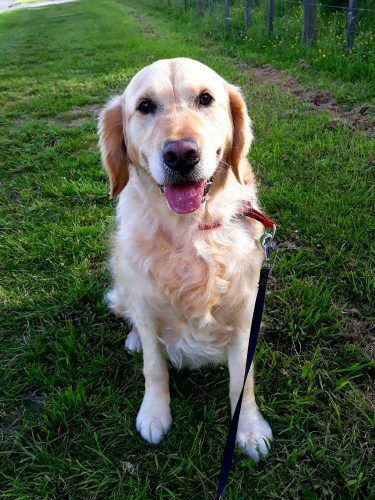 Animal Genetics have recently added PRCD-PRA to the testing available for Golden Retrievers. 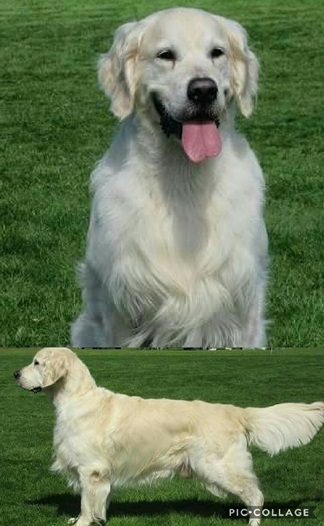 I’m pleased to say all my breeding dogs have tested clear for this. 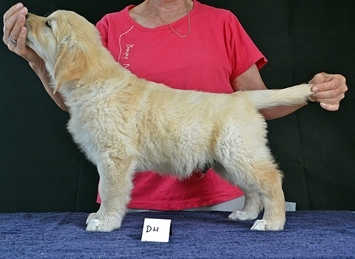 Keridale Goldens has their first DUAL CHMPION!! 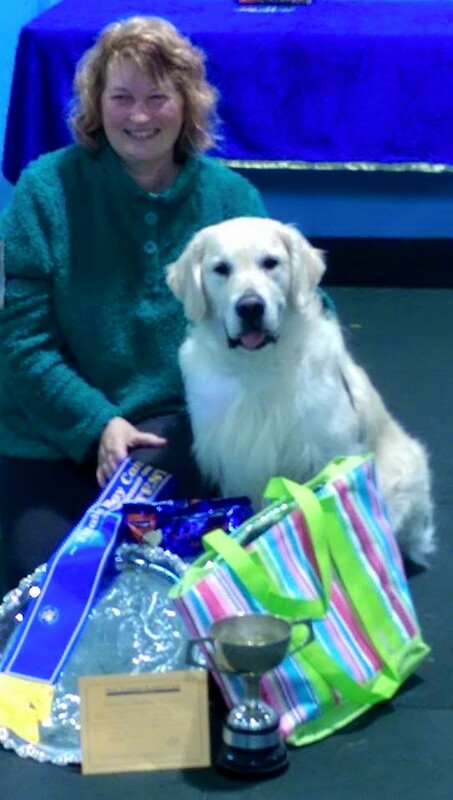 Ob Ch Keridale Orbital Velocity, “Orbit” proudly owned and campaigned by Angelique Aamodt, gained his 8th Challenge on 19th March 2017 making him a Show Champion as well as Obedience Champion !! 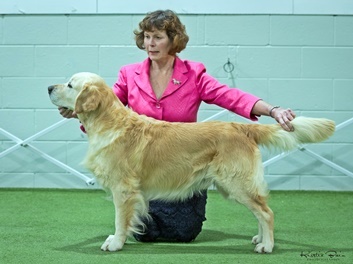 Another Champion for Keridale Goldens!! 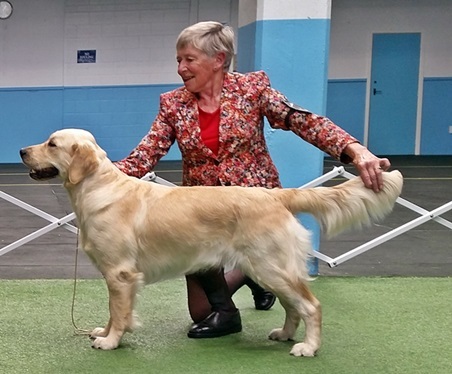 3rd July 2016, Scarlett, now to be known as Champion Keridale Scarlett O’Hara, won her 8th Challenge and also Best Gundog and RESERVE Best In Show at the Hutt Valley Allbreed Champion ship show!! Won her 8th CC which once confirmed by NZKC makes her a Show Champion!!!! Keridale Orbital Velocity (Orbit) has achieved the title of NZ Obedience Champion! !